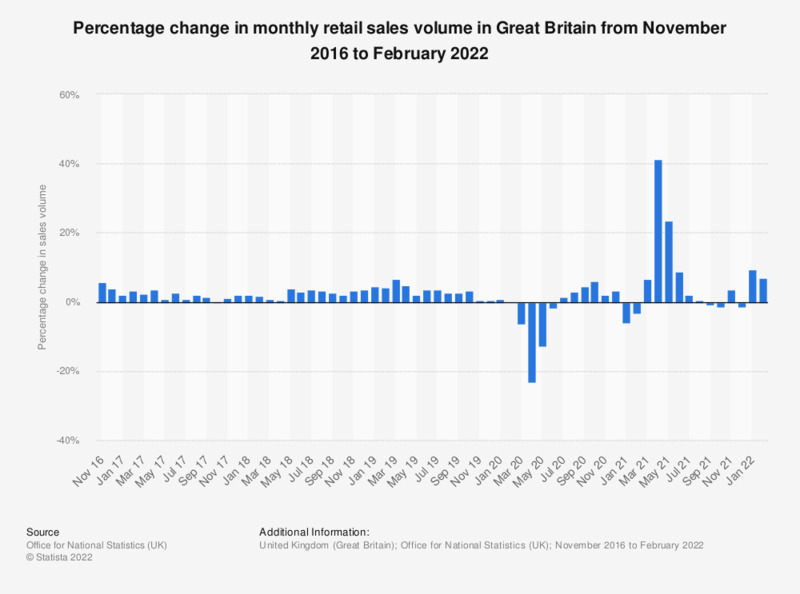 This statistic shows the percentage change in the quantity of goods bought (retail sales volume) in Great Britain, from January 2015 to July 2018. The volume of all retail sales in December 2016 increased by 4 percent in comparison to the previous year, representing a larger increase than in December 2017, at 1.4 percent. * Percentage change in chained volume of retail sales (seasonally adjusted) compared to the same month a year earlier. 'Retail' refers to all retailing, including automotive fuel.